Willowleaf and Skypaw stayed silent as they padded through the forest. It had started to mist, leaving the she-cats&apos; pelts damp and uncomfortable. Skypaw&apos;s paws itched to go back to camp, but she knew they would be discovered there. By the amount of distance Willowleaf was taking her from camp told Skypaw the ThunderClan medicine cat was paranoid, too. Skypaw almost tripped over Willowleaf when she came to a sudden stop. Skidding in the mud for a few moments, she was finally able to recover her balance and she stared at the medicine cat expectantly. "Let&apos;s go to the old Thunderpath," Willowleaf meowed, Skypaw suspected Willowleaf wasn&apos;t talking to her, but to herself. But just to be sure, Skypaw gave a slight nod of acknowledgement and followed Willowleaf when she set off again, towards the abandoned Thunderpath. When the two damp she-cats arrived, Willowleaf sat down on the edge. Even though this old path was usually inactive, ThunderClan was always sure to check all senses and signs for any Twoleg activity. Sitting on the abandoned Thunderpath would not be a wise move and they would surely be punished if they were found. Skypaw sat down next to her. "StarClan showed you the prophecy," Willowleaf meowed. Skypaw wondered how she had known. "So it was StarClan, then?" Skypaw asked, excitement tingling in her paws. "No, it was an army of talking squirrels," Willowleaf meowed humorously. Skypaw stared at her paws. How could she have suspected it wasn&apos;t StarClan in the first place? "It&apos;s okay." Willowleaf meowed. "What did they share with you, exactly?" "&apos;The sky will fall on the sun to save our Clan,&apos;" Skypaw repeated the same words her warrior ancestors had shared with her. "That&apos;s the one," Willowleaf replied. "Why me?" Skypaw asked, continuing to stare at her paws. She felt Willowleaf turn her head and look at her. "Why you what?" She meowed, surprised. "How much do you know?" Skypaw stared at the medicine cat. She didn&apos;t think there was more. "Why they chose me to trust with the prophecy," Skypaw eyed her suspiciously. "What do you mean, &apos;how much do I know&apos;? Don&apos;t I know everything?" 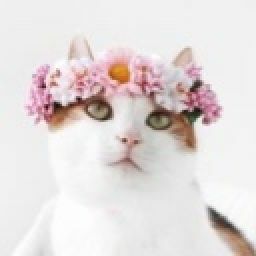 Willowleaf changed the subject quickly and ignored Skypaw&apos;s question. "You play a part in the prophecy," Willowleaf meowed carefully. "But why me?" Skypaw pawed a pebble onto the Thunderpath. Willowleaf jumped, not expecting the movement on the old path. Skypaw muttered an apology. "You&apos;re the cat StarClan chose, Skypaw," Skypaw could tell the medicine cat was still watching her words. Her tail lashed with frustration. "But why?" Her tone came out a little harsh. Willowleaf seemed unaffected, so she didn&apos;t bother to apologize. "Only StarClan knows," Willowleaf explained. "I was just informed about it, just like you were. I didn&apos;t make the plans." 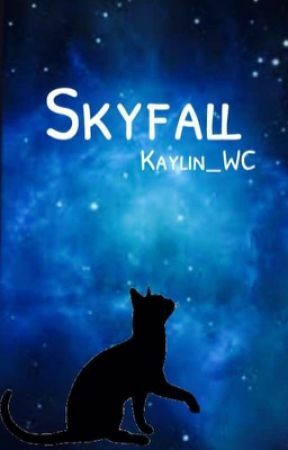 Willowleaf said her words with certainity, so Skypaw suspected that she had planned them. "Who knows?" Skypaw asked. Time to put her knowledge into action. "Your mother and father." Willowleaf lashed her tail. "No other cat." Skypaw glared at Willowleaf. "Sandstar knew." Willowleaf leaped to her paws, looking at the ThunderClan apprentice. "How&apos;d you know?" Skypaw instantly regretted pulling the medicine cat out for her lie. How would she explain herself? Skypaw opened her mouth to reply, but suddenly, something rattled in the bushes.